In genealogy, as in law, it’s awfully hard to prove a negative. It’s even harder when you’re trying to figure out why someone didn’t do something you think perhaps he should have done. But that’s the situation confronting reader Bob Fleitz, whose second great grandfather was of the right age at the right time to have served in the Union forces in the Civil War — but didn’t. Here’s a shock for you (said with tongue planted firmly in The Legal Genealogist‘s cheek): start with the law. By the beginning of 1863, it was clear that more men would be needed, and the Congress adopted the Enrollment Act. And for Bob’s purposes, the key provisions are the ages of the men subject to conscription — all men between the ages of 20 and 45,4 bringing Ignatz squarely within the terms of the law — and the exemptions and exceptions created by the law. So the first step in Bob’s research would be to compare Ignatz’s situation to the exemptions provided by the law to see if there is an obvious reason why he wouldn’t be called. In his case, there doesn’t seem to be one. The next step would be to find the records of the draft system where Ignatz may have been recorded to see if they shed light on the situation. The draft was conducted within each individual Congressional district, and Ignatz Fleitz lived in Ohio’s 10th Congressional District at the time. And the very first thing Bob discovered was that the consolidated draft register for surnames from A-K for Ohio’s 10th Congressional District is missing from the “U.S., Civil War Draft Registrations Records, 1863-1865” database at Ancestry.com. It isn’t clear whether that means that volume no longer exists, or wasn’t digitized, or just isn’t available online. • List of Men Credited to the Subdistricts, 1863? – 1866? • Name Indexes to Muster and Descriptive Book of Recruits and Substitutes, 1864? – 1865? That doesn’t mean there won’t be records of Ignatz, and it doesn’t mean those records might not provide information you won’t find anywhere else (can you imagine finding a medical examination of a man who lived in the 1860s???). It may simply be that Ignatz registered and went home waiting to be called … and never was. But won’t it be fun to find out for sure? Let us know, Bob, what you find! Mom, pick me, pick me! I was always your favorite! In reality, though, what an agonizing choice to make. And potentially a disastrous decision to have to live with. Yep, talk about a “Sophie’s Choice” kind of situation!!! That one really tugs at your heartstrings, doesn’t it, Blaine? This post really has me thinking. I’ve always wondered about why my Georgia ancestor did not fight alongside all of his brothers and brothers-in-law in the Confederate Army. I am sure the laws differed for the south, but this has given me ideas of some different avenues to pursue. I’ve always wondered if my ancestor had some physical handicap that would have made it difficult and I’ve also searched to see if he was among those from the South that fought for the North. And it’s always nice to find an excuse for a road trip! This sort of research is on my list this year as well. I have a few Philadelphians registered while others were not. I’ll also need to dig deep into Texas during the war. Several MS ancestors vacated to Texas. Many returned to MS while others stopped in LA. My Missouri folks that fled to Texas, possibly to escape the border wars, are also on my Civil War curiousity list. Fun Stuff. Do hope Bob lets us know what he finds. I have an ancestor who I was always told served in the Home Guard, not the regular Confederate troops. 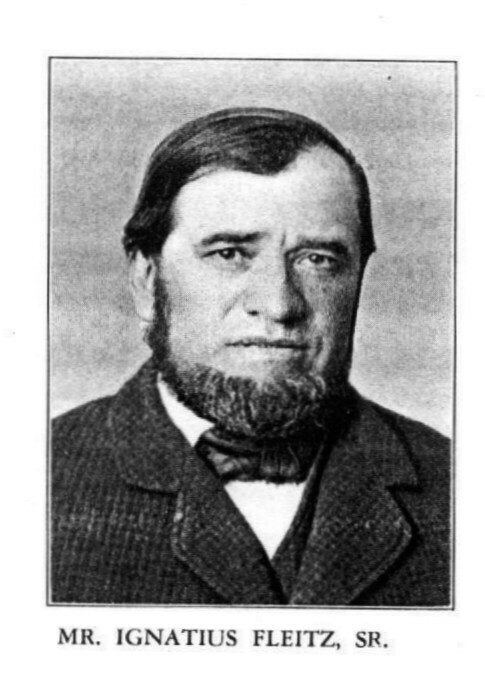 Turns out he *did* serve, in 1861 only – after the deaths of 2 brothers before the war (both leaving children), this ancestor and his baby brother went off to war with their local militia company, which was rolled into the state troops. They got pretty well shot up at First Manassas / Bull Run, and baby brother died of his serious wound in August 1861. My ancestor was discharged in October 1861 and returned home – the only surviving son of his aged parents, with one older spinster sister, 2 infant children of his own (including 1 newborn) … and no wife, who had died in childbirth the previous month. While he did join the Home Guard in 1863, I’m not surprised that he never mentioned to his children/grandchildren that he had gone away to war in 1861 – sounds like that was a horrible year for him. What a great (yet tragic) story, Betsy. I’d be careful about him “joining” the Home Guard in 1863 — he may have had no choice since conscription was pretty nearly universal in the south by then. There should be records at the county level that tell you whether this was conscription or enlistment (conscripts in certain categories were assigned to what was, in essence, a home guard), and those records can be truly wonderful. Very interesting indeed! You have provided me with ideas on researching my own (southern) ancestor who did not fight in the war. Thanks for the sources above – I clicked through to source #2 and am finding it helpful as I formulate my research plan. Sure glad you’re finding the information useful, Lisa! Great article. I had to go back and look at one of my Confederate puzzles and posted this: The Legal Genealogist Inspires Me to Take Another Look at the Puzzle of Jeremiah. LOVE your follow-up, Anne, and wish you the best of luck with Jeremiah. Make sure to check the county records, which is where the exemptions etc. were often filed! And don’t overlook the miscellaneous stuff at places like Fold3. Thanks for suggestions. This is why we should all read blogs — new ideas for our own research! Wow, Judy. You’re right, there might be a road trip necessary. As I’m retiring shortly, I should have time to run this down and let you know. Though I suspect you are right in your suspicion that, just like draft registration more recently, most men register, go home and never get called up. My draft lottery number in 1972 was 312, as I recall. Hope you get some good information from that road trip, Bob — and please do let us know what you find out! Oh, dear! I have a g-grandfather in WV, Samuel Harper, who appears not to have served. An archivist in Charleston at the Archives helped me look for him and although we found a Samuel Harper, it wasn’t him. I’ve been assuming he hid from military service for both sides as he moved from county to county every year or two. Now, it looks like I have to do more research! He was in his 30’s, had a bunch of children, and very little money. He was a farmer of the subsistence variety. He also had relatives of both Confederate and Union persuasions. Just when I think I have an ancestor properly accounted for, along comes somebody suggesting other documents I need to try to find. 😉 A genealogists work is never done!! And you wouldn't have it any other way! But remember that WVa was a state in flux so not all records would have survived. 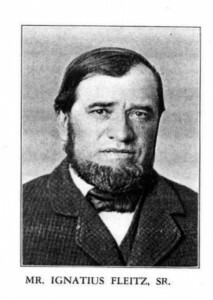 I did just find him in that Ancestry database of Union draft registrants. He made himself a bit younger but had the right middle initial and was in the right county so I’m pretty sure it is him. When I was at the WV Archives, we did look for him in that county’s records, looked through the pensions, looked through the militia records, looked through the regimental lists and I forget what else. The archivist who helped me pulled a whole lot of stuff, the actual records not indexes. He (the archivist) was pretty experienced at that sort of research so I’m sure there aren’t any records left for me to find there. I still think my guy didn’t serve. It sure doesn’t sound like he served, Jo — and remember that WV was such a battleground itself that he may have felt that unless he was drafted he needed to (a) be home to protect his family and/or (b) stay out of the fight to avoid his family being targeted by irregulars from either side! Judy, your research and your reasoning are very impressive to me. Essentially, you’re doing a differential legal diagnosis of reasons why Ignatius would not have served, right down to that sampling of Ohio records for Bob’s “road trip.” I find the very existence of all those Ohio records amazing. They even have records of paid substitutes — and I guess that means a record of those who paid them. Your mastery of detail is seriously admirable. Thanks so much for the kind words, Mariann. Attention to detail… the littlest details… is so important in genealogy, isn’t it? And that’s really at the heart of what I’m doing here: paying attention to the details. Ohio also allowed the counties to set up local funds which would be used as bounties (what we might call a “signing bonus”.) The bounties were used to entice men to volunteer. Get enough men to “volunteer” and then your county or town didn’t have the stigma of having to enact the draft. Men could pay a monthly fee, often $3, which would fund the bounties and — more importantly — keep that man’s name out of the draft. I need to do some digging to find the specifics, but I have seen records of these from various county Auditor’s offices in the state. Now that is really neat, Amy! Terrific information!